The North Country Review of Books | Reviews by Jeff Soyer. 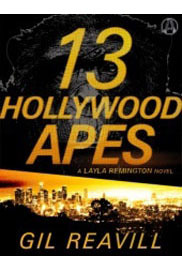 From Random House, the first of a new series of detective stories: 13 Hollywood Apes: A Layla Remington Mystery, by Gil Reavill (Amazon link). Oddly enough, this is the second such thriller involving apes that I’ve reviewed this month at The North Country Review of Books. I wish I could say that it is as good as the first one. Parts of it are, and it is certainly an original plot idea. It all starts with a California brush fire, and the murder of 13 chimpanzees at an animal care facility in the hills of Malibu. It ends with a series of gruesome murders of the staff there. Sheriff deputy and assistant district attorney Layla must unravel the twisted twine of the who and why that ties all of the killings together. Random House has started a new series of horror story collections edited by Brian Freeman and Richard T. Chizmar, famed editors of the magazine Cemetery Dance. The first of these short volumes is titled, Dark Screams: Volume One (Amazon link). 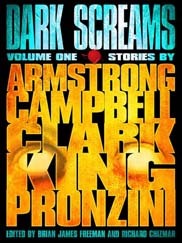 Featured are stories by Stephen King, Kelley Armstrong, Bill Pronzini, Simon Clark, and Ramsey Campbell. While the variety of stories is decent, the quality varies. Note to parents: The stories are fine for young adults, and gore is at a minimum. Around here, I consider a “Grand Slam” to be a book that earns top ratings in every category. Solomon’s Freedom, by Dennis Meredith, (Amazon link) is a grand slam. 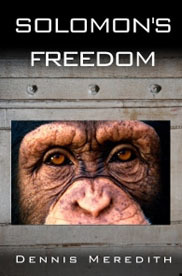 It’s a thriller with fabulous characters, witty dialogue, plenty of action, and most importantly, it raises questions about whether man’s closest neighbor in the animal kingdom should be granted any rights. American citizens have seen a drastic increase in the surveillance of themselves by police and government. Supposedly this is all done in the name of “Homeland Security” and fighting crime. Cameras on street corners, license plate readers on police cars, mass collection of your emails, phone calls, and websites visited. Even the United States Postal Service now photographs every single letter and package sent through its offices. What if it’s all taken to the next level? 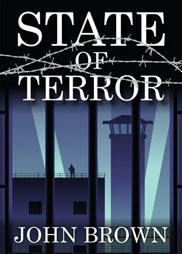 That’s the frightening premise of State of Terror, by John Brown from Fire Fighter Books (Amazon link). With a fast moving plot, this story plunges you into a nightmare America where you can be detained indefinitely, with no right to counsel or trial. 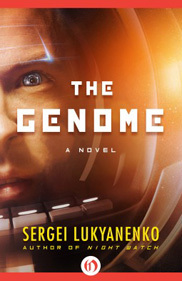 The psychological interactions and tensions between humans, genetically engineered humans, clones, and aliens, is probably the best way to describe The Genome, by Sergei Lukyanenko (Amazon link) in this unusual entry into the science fiction field. It’s also about the ethics behind “Spesh” — humans who had their DNA altered at conception to become specialized in an occupation at a later time during their teens. All of that specialization comes at a price, as they — and you the readers — will discover. The Genome presents an interesting stew of characters. This isn’t “space opera” nor anything nearly as action-packed as that. It’s more a fascinating study of freewill or the lack of it when your DNA has been altered to enhance certain functions. 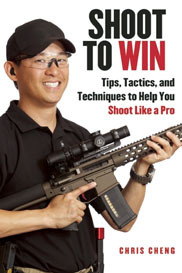 The winner of season 4 of the History Channel’s Top Shot has written a book, Shoot To Win, by Chris Cheng (Amazon link) that has as a subtitle, “Tips, Tactics, and Techniques to Help You Shoot Like a Pro.” That might lead you to believe that the book is aimed primarily at experienced shooters who would like to improve their game. While there are a few chapters along those lines, the bulk of Shoot To Win deals with the very basics of firearms and safely handling them. 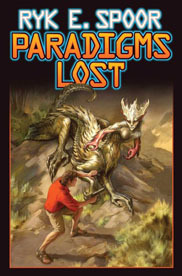 Originally written in the late 1980’s and early 1990’s and published as Digital Knight, Baen Books has just released a revised and expanded version titled, Paradigms Lost, by Ryk E. Spoor (Amazon link). According to the author’s preface, he made a few changes to existing stories to clarify a few incidents. The major difference is that he’s added about 50% new material. This should make this revision well worthwhile to readers of the original book (which I have not read — this review is based solely on this one). Paradigms Lost is a roller-coaster of a ride through an alternate Earth where vampires, werewolves, and other creatures all go bump-in-the-night. It is a very enjoyable read. New, from Bantam Books, this is the third book in the FBI Special Agent Kate O’Hare and wanted criminal (*wink*) Nicolas Fox series. 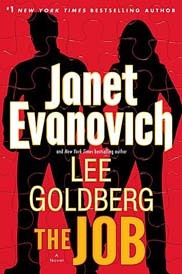 The Job, by Janet Evanovich and Lee Goldberg (Amazon link) is fast paced and fun, with nicely breezy dialogue. O’Hare and Fox team up again and hatch a plot worthy of the best from Mission: Impossible. Indeed, The Job would make a terrific movie. The Cthulhu Mythos are real! 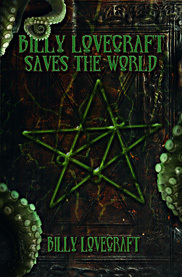 Ostensibly written for the “young adult” market, Billy Lovecraft Saves the World, by Billy Lovecraft, Curiosity Quills Press (Amazon link) is wonderful fun. I’m 60-years old, and as a long time H.P. Lovecraft fan, I loved this book. Well written, endearing characters, scary, but with a big-sized dollop of humor thrown in, I believe that you will get a kick out of this story, too. Good news: Open Road Media is releasing a Kindle edition of Quozl, by Alan Dean Foster (Amazon link). 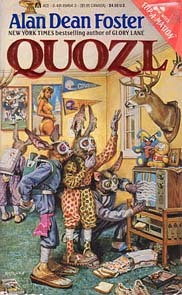 Quozl is a lighthearted science fiction tale of a race of alien “rabbits” who land on Earth, go into hiding, and finally reveal themselves. Adults and young adults will enjoy this pleasant novel of first contact (both of the humans, and the Quozl) and how the Quozl are finally introduced to humanity at large. It’s a pleasure to discover a talented author I had not known of before. 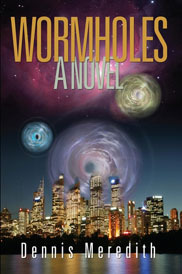 Wormholes: A Novel, by Dennis Meredith, Glyphus Press (Amazon link) is a first rate thriller in the best tradition of hard science fiction. What an enjoyable break from the endless, militarized or “fantasized” sci-fi that has overrun the field of late. As soon as a new book in this series comes out, I buy it. That should tell you something right there. 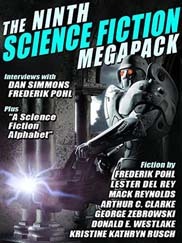 The Ninth Science Fiction Megapack (Amazon link) is here and I recommend it, with reservations.